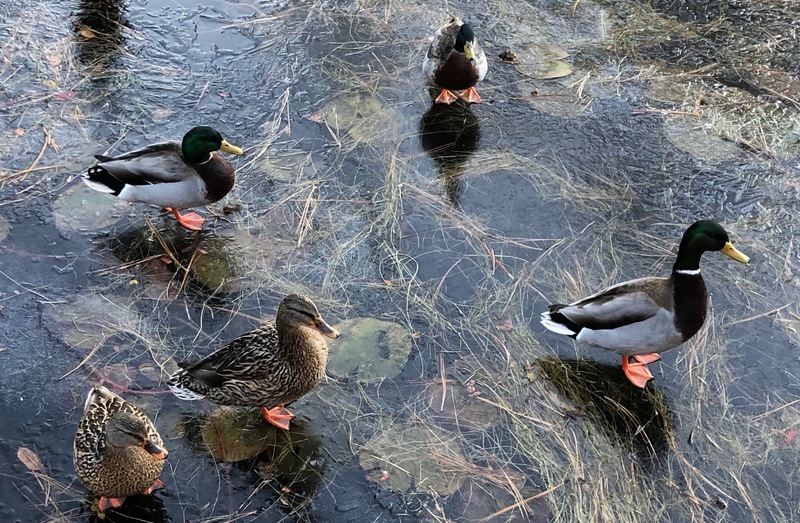 I didn’t have much chance to get out to take photos yesterday but I did get these ducks walking around the frozen pond with my iPhone.
. . . a bit like me outside the window of a bakery . . .